Learn about Raj Tents luxury tent and decor rentals. We serve the US and abroad for weddings, corporate events, social gatherings, and film & TV. Raj Tents is based in Los Angeles, with offices in the San Francisco Bay Area and Honolulu, Hawaii. Please explore our web site for great ideas on different luxury tented events and themes. We would love to hear from you. Get in touch to discuss your upcoming event so we can make recommendations for what will work best. Luxury tented weddings are our specialty - whether a classic ivory and gold wedding, a more playful Bohemian themed wedding or a Beach Wedding. Celebrate life's milestones with friends and family in style. 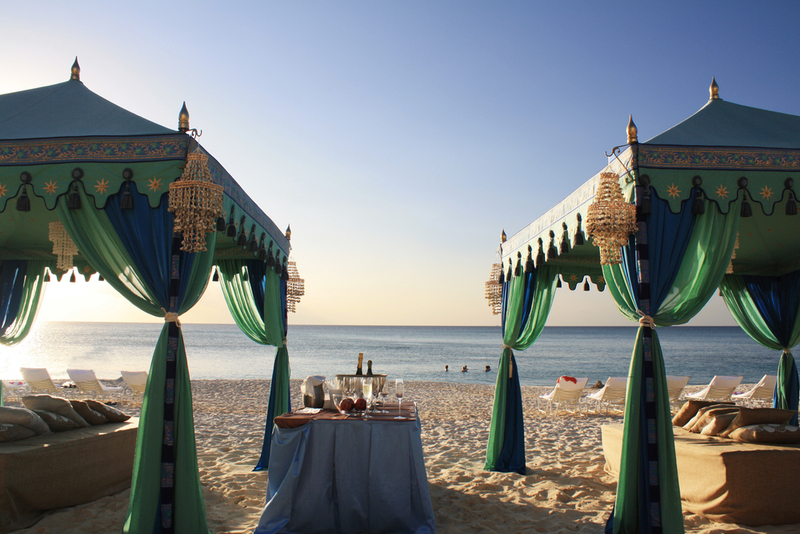 Raj Tents' themed luxury tents and decor create distinctive and memorable events. A strong theme brings people together! Create the right environment for your Holiday Party or VIP Event with luxury themed tenting and decor. Raj Tents are the leaders in themed luxury tenting and decor, with an extensive inventory of beautiful tents and accessories. Explore our different themes- Indian, Bollywood, Moroccan, Arabian Nights, Bohemian Chic, Old Hollywood, Beach Chic, Out of Africa, Louis XV, Wine Country Wedding and Classic White Wedding. As well as event tent rental Raj Tents provides furniture rental for events, rugs and flooring rental and thematic lighting rental. 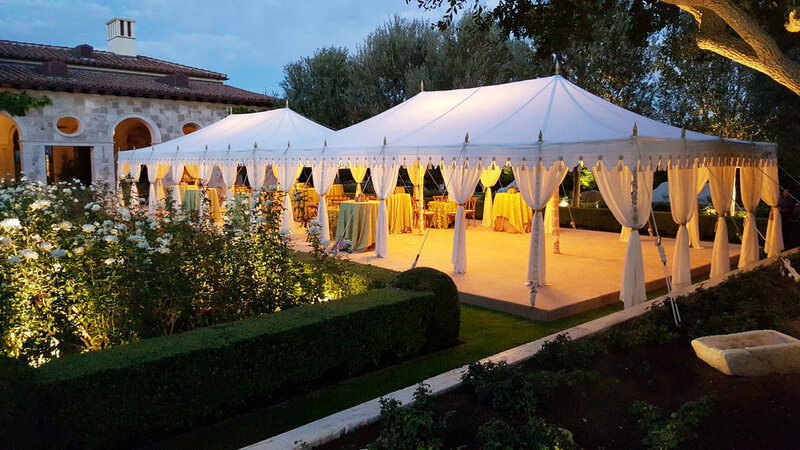 We work with event and wedding venues in California and elsewhere in the US as well as installing luxury tenting and decor in private residences. Raj Tents' luxury tent rental installation service is available throughout the US and abroad to help make your destination wedding extraordinary. Raj Tents specialize in Indian Wedding tenting and decor, with a fantastic inventory of traditional and modern Indian Wedding decorations.